Sherri Buda is a commercial litigator who focuses her practice on real estate litigation, construction litigation, and business litigation. In her real estate practice, Sherri represents developers, builders, real estate investors, commercials landlords, and property owners in disputes involving lenders, title, real estate contracts, commercial leases, zoning, and permitting in federal and state court. Specifically, Sherri represents these parties in actions involving breach of promissory notes, foreclosure, receivership, specific performance, dispossessory, breach of purchase and sale agreements, breach of developer agreements, zoning denials, permitting denials, and title policy suits. In her construction practice, Sherri represents builders, owners, general contractors, subcontractors, and designers in contract disputes and construction defect cases in federal and state court. Specifically, Sherri represents these parties in actions involving negligent construction, lien foreclosure, surety suits, AIA contracts, arbitration, defective materials, and breach of construction contracts. In her business litigation practice, Sherri represents businesses, business owners, shareholders, partners, directors, officers in shareholder/ partnership disputes, business divorces, and contract disputes. Specifically, Sherri represents these parties in actions involving shareholder derivative suits, breach of fiduciary duty, gross negligence, conversion, mismanagement, accounting actions, UCC Article 2, UCC Article 9, collection, and lending. Prior to joining Knight Johnson, Sherri worked for national law firms Jones Day and Seyfarth Shaw. Sherri graduated Phi Beta Kappa from Duke University with a Bachelor of Science degree in civil engineering and earned an MBA from Florida State University. After working for BellSouth as an engineer, project manager and business analyst, Sherri earned her J.D. from Georgia State University College of Law. 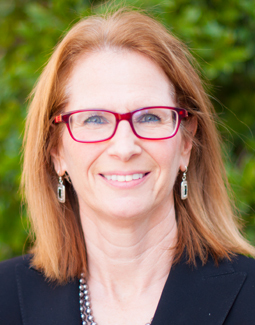 In 2008 and 2009, Sherri taught construction law as an adjunct professor in the Commercial Construction Management program at Gwinnett Technical College. She is currently a director of Mentoring a Girl in Construction (MAGIC), a non-profit organization that offers free summer camps in which high school girls can gain hands-on experience in construction trades such as plumbing, masonry and welding. Sherri has been published in Modern Contractor Solutions and in The Georgia Contractor.